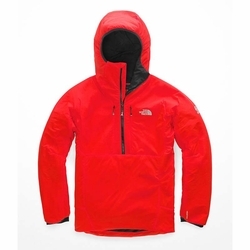 The North Face Summit L3 Ventrix 1/2 Zip Hoodie. Your new alpine workhorse, this synthetic-insulated pullover mid layer features The North Face's cutting-edge dynamic-venting insulation that activates with movement, and it has a abrasion-resistant fabric in key zones for lightweight durability. It sets a new standard for comfort in a broad range of activity levels, balancing warmth and comfort.